Pick a Theme for Your Crawler.com Homepage! 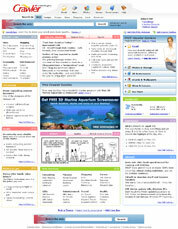 Customize your Crawler.com homepage contents and looks by choosing a theme from our collection. 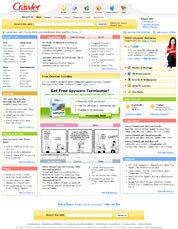 Each theme offers not only design adjusted to the theme, but also contents of boxes that includes information related to the selected theme. Crawler themes may be used in two ways - either you select a theme in your profile - this theme will appear when you access your account on Crawler, or you can access your account from the domain shown next to each theme thumbnail. To see a preview of the theme before you select it, simply click on the thumbnail. The preview will open in a new window. 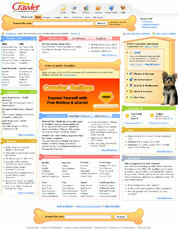 Classic Crawler.com look that allows you to adjust the contents of each box to fit your interests, track weather for your location, get notified of new messages in your email, photos in your photo album, events in your calendar, space in your online storage and notes on your virtual message board.